The original old-fashioned Tuscan facility, dating back to the second half of the 18th century, is built entirely of stone. The facility consists of the manor house and four completely independent apartments, well isolated from each other and with their own spaces ensuring the privacy of our guests. Ideal location for completely relaxing holiday/stay. The swimming pool (6x12 m.) has a panoramic position, it is like a terrace on the landscape, with view of Trasimeno and Chiusi lakes, Perugia and Assisi. The pool is available to our guests. Your four-legged friends are welcome. Apartment of 100 m2 (about 120 yd2) composed by: a big living room with kitchenette and a big fireplace, two double rooms, both with bathroom and shower. 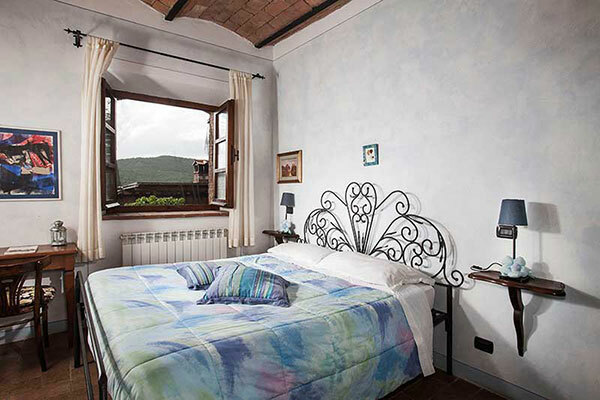 Classical Tuscany decor with antique furniture, independent heating, independent access. Two double beds + a double sofa bed. Apartment of 50 m2 (about 60 yd2) composed by: a living room with kitchenette and a little fireplace, a double room with bathroom and shower. 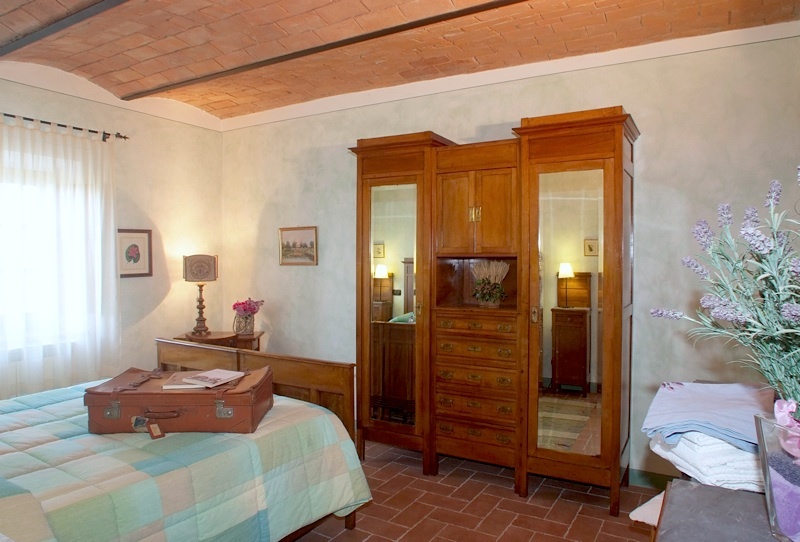 Classical Tuscany decor with antique furniture, independent heating, independent access. A double bed + a double sofa bed. Apartment of 50 m2 (about 60 yd2) composed by: a living room with kitchenette and a little fireplace, a double room with bathroom and shower. 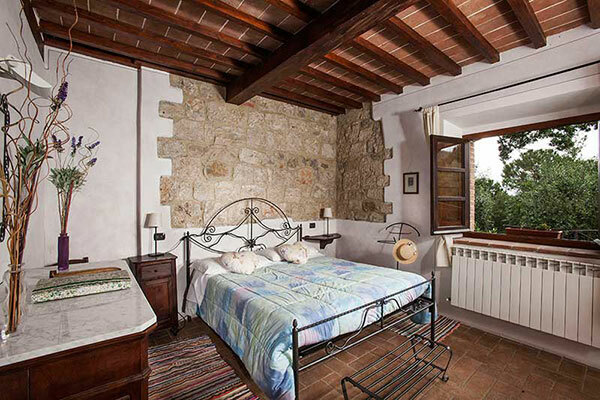 Classical Tuscany decor from the early 1900s with antique furniture, independent heating, independent access. A double bed + a double sofa bed. The apartment is accessible for people with disabilities. Apartment of 50 m2 (about 60 yd2) composed by: a living room with kitchenette and a little fireplace, a double room with bathroom and shower. 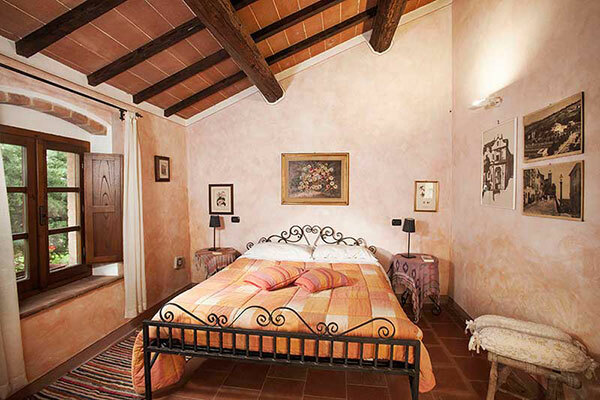 Classical Tuscany decor with antique furniture, independent heating, independent access. A double bed + a single bed + a double sofa bed. The apartment is accessible for people with disabilities. Chianciano Thermal Baths are the ideal setting to discover the wellness of spa. In the heart of Tuscany, in an area abounding in natural and artistic heritage, you can recharge your batteries thanks to the healing and relaxing properties of thermal waters. +39 057862768 Everyday from 9 a.m. to 7 p.m.